Earthquake Prediction: Powerful 7.1 magnitude earthquake jolted Mexico City, killing more than 224 ! 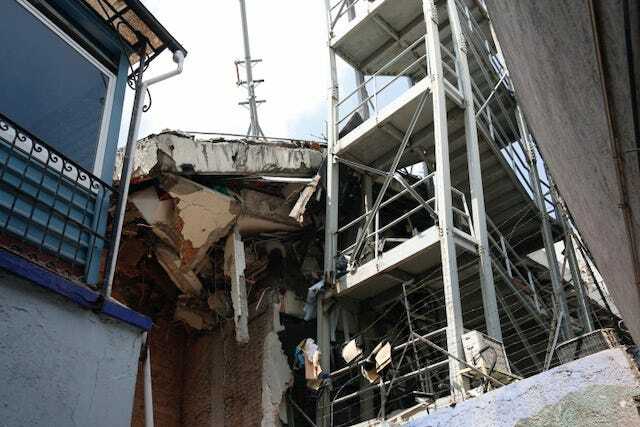 Powerful 7.1 magnitude earthquake jolted Mexico City, killing more than 224 ! 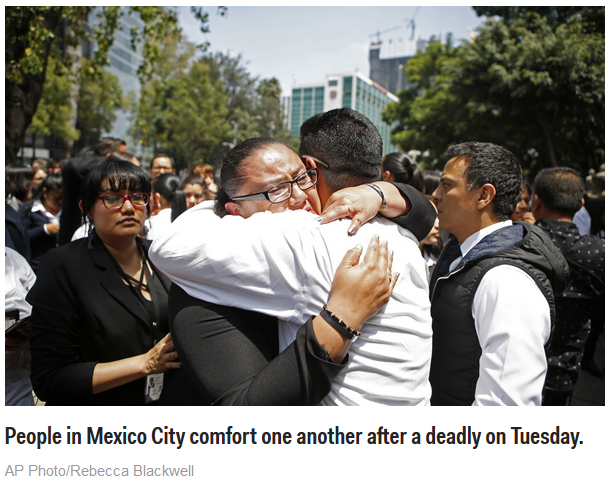 A powerful earthquake jolted Mexico City on Tuesday, causing buildings to sway on what was coincidentally the anniversary of a 1985 quake that did major damage to the capital. By Tuesday evening, more than 140 people have died. Over 3,400 soldiers were being deployed to areas affected by the earthquake, the Mexican Secretariat of National Defense said. Panicked office workers streamed into the streets as the quake toppled buildings and sent plumes of dust into the air. Early photos and videos appear to show severe damage, but the full extent is not yet clear. 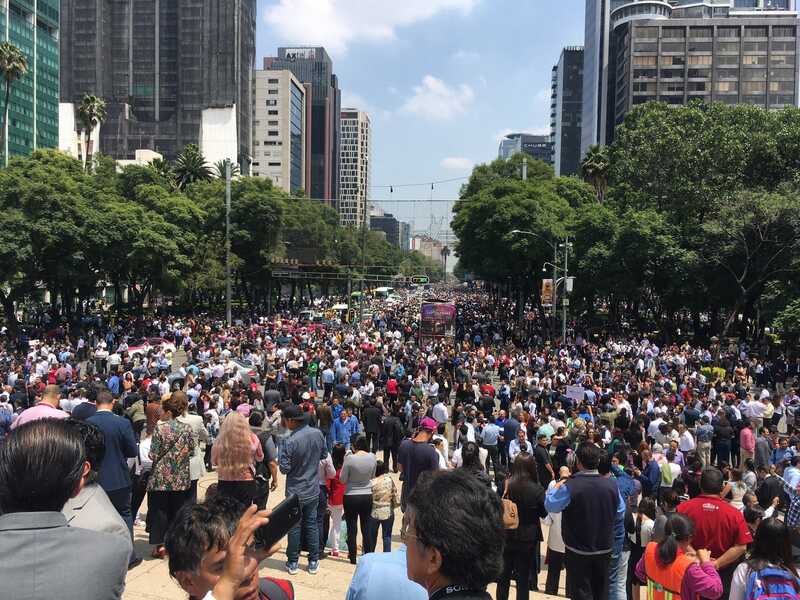 Mexico City's mayor, Miguel Angel Mancera, said there were reports of people trapped in collapsed buildings after the quake, though the number was unclear. Around 44 buildings were severely damaged or destroyed, Mancera said, according to Reuters. The US Geological Survey said the quake was magnitude 7.1, and it estimated fatalities in the hundreds and economic losses in the hundreds of millions of dollars. The quake was at a known tectonic fault, but not at the edges of two moving plates like many strong earthquakes, a US Geological Survey seismologist, Paul Earle, told The Associated Press. Traffic came to a standstill as masses of workers blocked streets. Clouds of dust rose from fallen pieces of facades. Office workers hugged each other to calm themselves. Edith Lopez, 25, a market stall vendor, said she was in a taxi a few blocks away when the quake struck. She said she saw glass bursting out of the windows of some buildings. She was anxiously trying to locate her children, whom she had left in the care of her mother, who is disabled. The head of Mexico's civil protection agency, Luis Felipe Puente, asked residents not return to their homes until they are deemed safe. Mexico's president, Enrique Pena Nieto, flew back to Mexico City and activated an emergency plan to survey the damage.